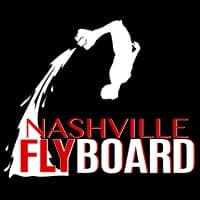 Nashville FlyBoard, LLC – Become A FlyBoard® Instructor! Nashville FlyBoard is seeking crew members for the 2018 season from April – October, & June – September. We’re offering a unique and exciting opportunity to join our crew and experience the most popular new water sports in the world! If you love water sports, and spending your summer days on the lake (while getting paid for it), apply to become a crew member at Nashville FlyBoard! We are primarily seeking a FlyBoard® / HydroFlight Instructor for the Zapata Racing FlyBoard®, Hoverboard, and ZR JetPack. We will train qualifying candidates. Instructors are responsible for controlling the PWC and the flow of water to the HydroFlight device, while providing safe, friendly, and thorough instruction to our Guests. Our Instructors will also have the opportunity to learn how to FlyBoard®, Hoverboard, & JetPack, and perform tricks for demos. A strong water sports background is preferred. Opportunities for growth are available for Hydroflight enthusiasts who show the desire and willingness to learn and grow with the business. Our top candidate will maintain a safety conscious attitude, have general boating experience (preferably PWC), and be open to learning. The position is part time, seasonal with a maximum of 32 hours a week beginning in April through September, with the potential for a permanent position and business opportunities. Our crews travel and provide services to recreational lakes throughout the Mid TN, while doing our best to accommodate all requests made by our guests, and making customer safety and satisfaction our top priority. • Must be 16 or over with a valid driver’s license. • Must have experience on a PWC or other watercraft, with the ability to operate a PWC at an intermediate level. • Must be alert at all times and have the ability to react quickly while working under pressure. • Must possess a positive, respectful attitude toward co-workers & customers. • Must be mature, responsible, and reliable with the ability to work with little supervision, as well as with a team. • Must be willing and able to take on a variety of miscellaneous tasks – helping with events, help maintaining activity area, etc. Must be an excellent swimmer, able to lift and carry up to 75 pounds, be willing to learn and practice the FlyBoard®, Hoverboard by ZR®, & ZR JetPack® (We will teach you). Must be capable of maintaining a high level of alertness and physical activity in all types of weather conditions. Work Hard to Play Hard! To apply for this rare and exciting opportunity, email your resume or application with a short paragraph explaining any PWC or water sports experience, and how you think you could make a contribution to our crew. Send it to info@nashvilleflyboard.com. or call 615-580-9030. Click Here to Download an Application and Apply for the Coolest Job of the Summer!